#Dreamforce ’16 was incredible! Over 171,000 people, from 83 countries, registered to attend the largest gathering of Customer Trailblazers in San Francisco. We had over 15 million people joining us online, and for the first time, we hosted 125 viewing parties globally! 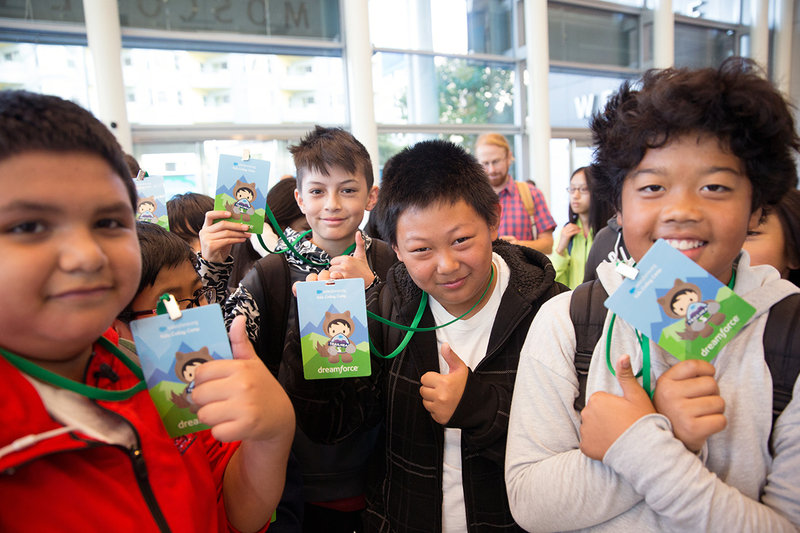 We couldn’t have done any of this without our phenomenal community–Dreamforce couldn’t have happened without YOU. We delivered 25+ keynotes, 3,300 breakout and theater sessions, and featured world-class speakers: Melinda Gates, Robin Roberts, Tony Robbins, Marc Cuban, Chris Sacca, will.i.am, Shahrzad Rafati, Billie Jean King, Rep. John Lewis, Lilly Ledbetter, the Kelly Brothers, U2 & 20 monastics from Plum Village. Not to mention our new combined Cloud Expo with 400+ partners, the rocking Salesforce Campground, along with the new Trailhead Zone, Lightning Lookout, Einstein Discovery Center and our Line of Business Lodges, all while raising money for (RED) and the Global Fund to help create the first AIDS-free generation in Africa. 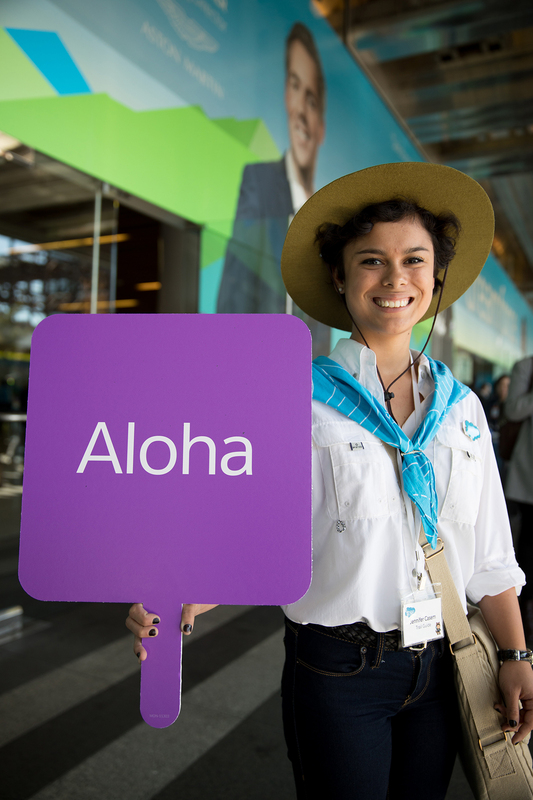 We celebrated you, our Customer Trailblazers, and brought the amazing Trailhead theme to life across the campus. This year, we delivered the first-ever Fortune CEO Series at Dreamforce with top CEO’s including Sir Richard Branson (Virgin Group), Mary Barra (General Motors), Brian Moynihan (Bank of America), Bernard J. Tyson (Kaiser Permanente), Jean-Pascal Tricoire (Schneider Electric), Jeff Dailey (Farmers Insurance) and more, along with the first-ever Forbes Philanthropy Summit and we took the Women & Equality Summit to a whole new level with a broad stance on our core Salesforce value of Equality. 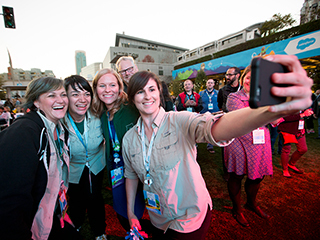 Thank you to all of you, our Customer Trailblazers, for making this Dreamforce so memorable! 171,000+ registered to attend – the largest software conference on the planet. 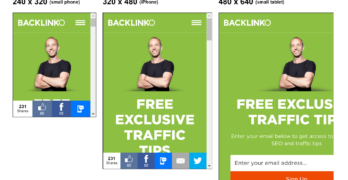 3 amazing new mascots Astro, Einstein and Codey joining SaaSy & Chatty. All-new combined Salesforce Campground, featuring all Clouds and Customer Industry Experiences along with Lightning, Quip, Einstein, and Mobile. Over 20 Dreamtalks delivered for the first time! Hosted the first Dreampitch Competition with Sharks Marc Cuban & Chris Sacca, joined by will.i.am and Shahrzad Rafati. Congrats to the winner, Claire. First-ever Fortune CEO Series at Dreamforce, with 33 top CEOs (11 Fortune 500 CEOs) and a takeover of Fortune.com during the event. 241,690 seats filled across 3,300 breakout sessions and theater presentations. New Lodges for Sales, Service, Marketing, IT, SMB, Salesforce University, Salesforce.org, and Partners! We raised $10.3M for the UCSF Benioff Children’s Hospitals at the Dreamfest. With the help of Marc Benioff and the Bill & Melinda Gates Foundation, we raised $3M for (RED) and the Global Fund to help create an AIDS-free generation. 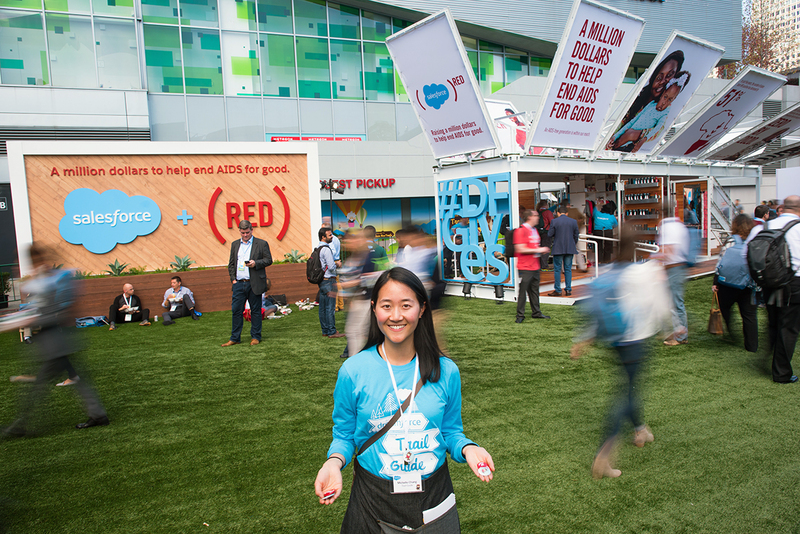 Dreamforce was the largest nonprofit tech event with more than 118 breakout sessions and 8,000 attendees from nonprofits around the world. We packed 2,000 early math totes for the SF Public Library Program with Too Small to Fail, 2,000 basic needs bags for seniors and critically ill neighbors in partnership with Project Open Hand & 1,600 hygiene kits for the Positive Health Program at Zuckerberg General Hospital. We hosted 50 veterans learning Salesforce technology, partnered with Fleet Week on a number of key activities, and hosted the 3rd Annual Dreamlift encouraging opportunities for veterans. At the first-ever Forbes Philanthropy Summit attendees heard from leaders and innovators in the areas of philanthropy, sustainability, and global health. Four days of fun on the Dreampark with a music festival of over 27 bands and more.